For a limited time, Amazon is offering an extra 30% off select diapers and wipes when you buy them with Subscribe & Save (Subscribe & Save can easily be canceled with the click of your mouse right after your order ships, so don’t worry about a commitment)! 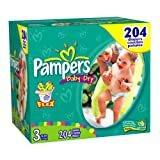 To make the deal even better, be sure to look for your Amazon coupon to save $1.50 off Pampers on or before June 30th. 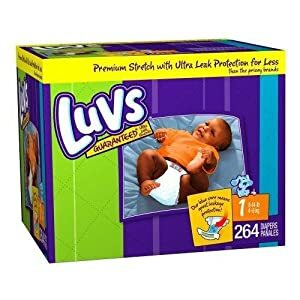 Add it to your cart before you start shopping and you could end up with some sweet diaper deals for your baby! Total for your order after all discounts? $26.84! That's $.13 per diaper for Pampers! 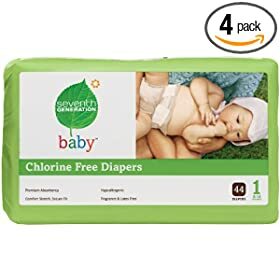 Seventh Generation Chlorine Free Diapers just $.20 each for size 3s! With Amazon, inventory seems to fluctuate by the minute! If you see what you need at the right price, don't hesitate, just buy it! If you don't see what you're looking for, check back within the next hour or two. Often times, they'll be back in stock!